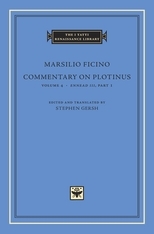 Marsilio Ficino (1433–1499) was the leading Platonic philosopher of the Renaissance and is generally recognized as the greatest authority on ancient Platonism before modern times. Among his greatest accomplishments as a scholar was his 1492 Latin translation of the complete works of Plotinus (204–270 CE), the founder of Neoplatonism. The 1492 edition also contained an immense commentary that remained for centuries the principle introduction to Plotinus’s works for Western scholars. At the same time, it constitutes a major statement of Ficino’s own late metaphysics. The I Tatti edition, planned in six volumes, contains the first modern edition of the Latin text and the first translation into any modern language. 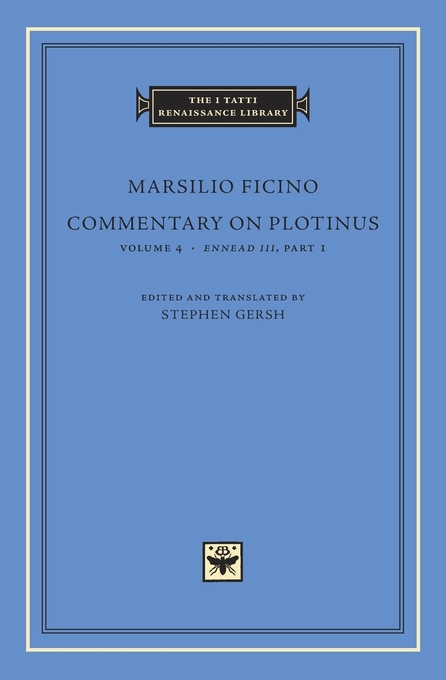 The present volume also contains an extensive analytical study of Ficino’s interpretation of Plotinus’s Third Ennead.